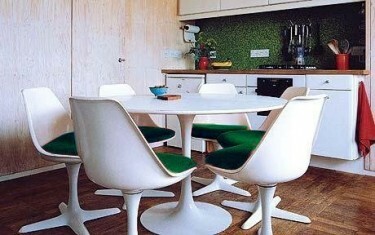 There’s a nice article on the Apartment Therapy website, touching on seventies interior style and design trends. It is easy to dismiss the 1970s as “the decade that taste forgot”. But to do so would be to overlook the decade’s contributions in architecture, furniture design and interior decorating. After all, with the Bad and the Ugly there is usually some Good. A more thorough examination of this period is particularly worthwhile today, a time that (like the 1970s) is burdened by recession, corruption, and high unemployment rates; a time of renewed environmentalism and disenchantment with material excess. And like our early 70s counterparts, we too are emerging from a period dominated by sleek, minimalist modernism in interior design. Full article (with an interesting photo gallery) here.